What Is Inside Pokemon Center PikaPika Lucky Bag 2019? To celebrate the new year, Pokemon Center locations in Japan offered a PikaPika Lucky Bag, which contains a giant Pokemon Fit plush and a random assortment of Pokemon Center products. 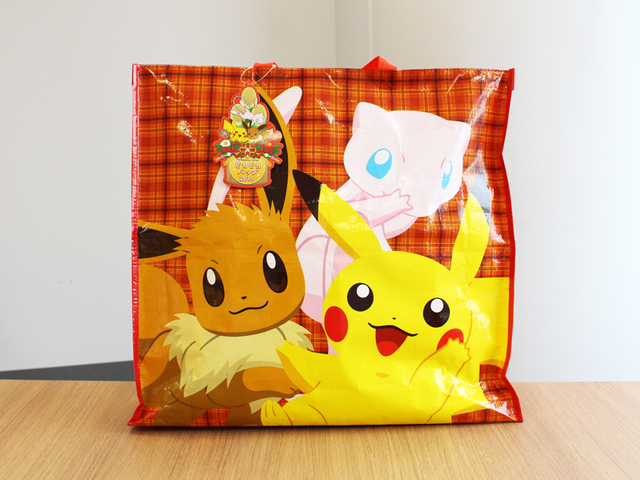 While we have already showed you how the giant Pokemon Fit plush and bag looks like, we have not shown you the other items that come inside the bag. If you were lucky enough to purchase the bag (cost about 4000 yen), you’d have received at least 25,000 yen worth of products. That is the very reason why these bags are so popular and people wouldn’t mind lining up 4 hours to buy one.